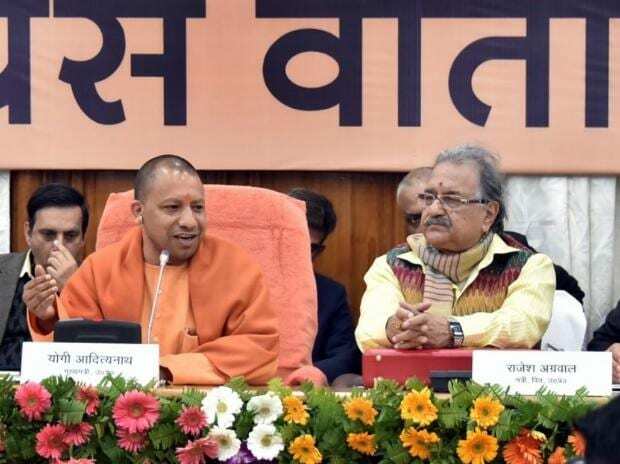 Ahead of the Lok Sabha elections, Ayodhya on Thursday got a significant share in the Uttar Pradesh Budget, including Rs 200 crore for an airport and Rs 101 crore for the development of tourist spots in the city. As part of its focus on development and beautification of religious places in the state, the UP government has selected Ayodhya, Varanasi, Mathura and Allahabad while earmarking funds in the annual budget for 2019-20. The allocation for Ayodhya comes amid pressure on the BJP-led government at the Centre and in the state over the construction of a Ram temple at the disputed site in the city, as the Lok Sabha elections near. In his Budget speech in the state assembly, Finance Minister Rajesh Agarwal said Shri Kashi Vishwanath Special Area Development Board has been set up to ensure implementation of Shri Kashi Vishwanath Mandir Expansion Scheme in Varanasi. He said Rs 207 crore has been pegged for the expansion and beautification of the road from the Ganga bank to Vishwanath Temple in Varanasi. A budgetary provision of Rs 16 crore has been made to set up a Vaidik Vigyan Kendra in Kashi Hindu Vishwavidyalaya in the city and Rs 27 crore has been set aside for integrated development of major tourist places in Garh Mukteshwar. While Rs 8.38 crore has been proposed to get an auditorium constructed between Mathura-Vridavan, a provision of Rs 5 crore has been made for the construction of boundary walls around public Ramlila grounds. A provision of Rs 1 crore has been made to strengthen Vrindavan Shodh Sansthan and Rs 125 crore allocated for infrastructural facilities in Uttar Pradesh Brij Tirtha. The minister said Rs 70 crore has been marked for implementation of Tourism Policy-2018 and another Rs 50 crore for pro-poor tourism. It is proposed in the Budget to strengthen Lahartara Talab, Kabir Sthal and Seergovardhanpur, the birthplace of Guru Ravidas, in Varanasi. It is also proposed to develop Rishi Bhardwaj Ashram and Shringverpur Dham in Allahabad. Moreover, it is also proposed to ensure the development of Vindhyachal and Naimisharanya; Sarnath, Shravasti, Kushinagar, Kapilvastu, Kaushambi and Sankisa under Buddhist Circuit; Shakumbhari Devi and Shukratal; Tulsi Peeth in Rajapur, Chitrakoot; Maharaja Suheldeo site and Chittaura Lake in Bahraich; and Bijli Pasi Qila in Lucknow. Of total Rs 1,000 crore allocated for construction, expansion and strengthening of airstrips in Uttar Pradesh, Rs 800 crore have been proposed to acquire land for the Jewar airport. An allocation of Rs 150 crore has also been made for providing air services under the UP Civil Aviation Promotion Policy-2017 and the Regional Connectivity Scheme.